Once a small Saxon village but populous enough to gain its own chapel at ease in the 12th century. Sometime between the 14th century and 1516 the settlement shrunk to just a single farmstead, the chapel became derelict and fell into disrepair though part of the walls have been included in a small outbuilding to the left of the big farmhouse. The rest of the settlement is made up of cottages constructed in the early part of the 20th century. 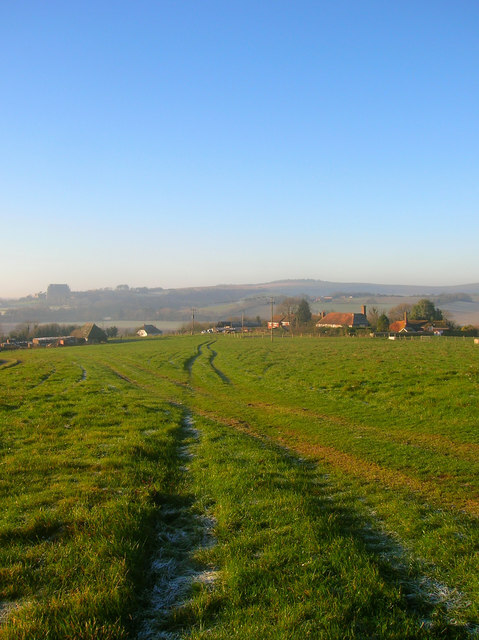 Taken from the footpath that runs through the settlement with the outline of Lancing College Chapel in the distance to the left.